If anyone has done more than Victor and Wendy Zammit to spread the gospel of survival, I don’t know who the person might be. Their Friday Report at http://www.victorzammit.com reaches thousands of people in more 100 countries every week. It offers a variety of interesting, informative, intriguing, and inspirational stories relating to spirituality, especially survival. 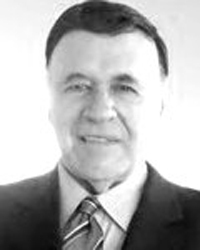 When it comes to weighing the evidence for survival, few people are more qualified than Victor Zammit, LL.B., Ph.D., (below) a retired lawyer of the Supreme Court of New South Wales and the High Court of Australia. Now retired from the practice of law, Zammit calls himself a full-time afterlife researcher. Wendy Zammit, M.A., (below) has contributed significantly in their joint venture. Their book, A Lawyer Presents the Evidence for the Afterlife, first published in 1996, under the title A Lawyer Presents the Case for the Afterlife, has been revised and recently republished by White Crow Books. Victor, when I interviewed you several years back, you said that you felt you had a mission to make known the evidence for survival. Would you mind elaborating on this a little and explain why you feel it is a goal worthy of your time? Wendy, you appear to share Victor’s zeal for helping others awaken to the reality of life after death. How did you become interested in the subject? Do you feel that significant progress is being made relative to accepting the evidence for survival? I know that both of you have witnessed quite a bit of physical mediumship. There are many believers in survival who say that mental mediumship is more convincing than physical mediumship. Do you agree? (VZ ) “Physical mediumship is not all the same. Just seeing things move around the room is not all that convincing. But materialization is another thing, especially when you have reunions with loved ones who can talk directly with you. For me materializations of loved ones are the greatest discovery in paranormal history. I conversed with my crossed- over younger sister who materialized and talked about matters we talked about before she crossed over. Wendy’s father materialized and talked to her about things only Wendy and her father knew – and he kissed her on her forehead. Like my sister, his voice was his original, authentic voice he had when he lived on earth (and he spoke with his distinctive Australian accent). Over seven years we witnessed over a hundred reunions where materialized spirits conversed with loved ones in the séance room who talked about familiar things only they knew. Over this time I did come across a very small minority of so-called Spiritualists who showed they have an irretrievably closed mind about materializations. I have to concede, I do not know why they are so determined that there cannot be such a thing– I find it very puzzling! The mediumship of yesteryear – much of which you cite in your book – seems to have been much more dynamic and convincing than the mediumship of today. Do you agree? (VZ) “Certainly all the great mediums you have written about were really amazing and we may never see someone like Mrs. Leonora Piper again. Gladys Osborne Leonard and Mrs. Eileen Garrett also seem to have been amazing. And we certainly don’t seem to have the number of great materialization mediums we had in the past like Helen Duncan, Alec Harris, Gordon Higginson, Estelle Roberts, and Jack Webber to name a few. A number of the old researchers concluded that the direct voice mediumship was the most convincing. Emily French, Leslie Flint, Etta Wriedt, and John Sloan immediately come to mind. 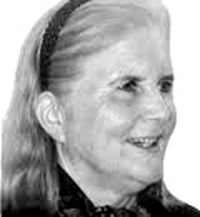 Do you know of anyone today who produces such quality mediumship as they did? If not, why do you think that is? (VZ) “It is hard to say as we don’t really have any direct voice mediums today to compare them with. I don’t know of anyone doing the kind of direct voice mediumship of the mediums you mentioned. How important is the issue of harmony between the sitters? I understand that you are putting out a new book. Please tell the readers something about it. Where so you see the future of afterlife research going? A Lawyer Presents the Evidence for the Afterlife by Victor & Wendy Zammit is published by White Crow Books and available from Amazon and online bookstores. “Because it’s there,” was the succinct reply of Englishman George Herbert Mallory (below) to the question of why he wanted to climb Mount Everest. Sometime later, on June 8, 1924, Mallory and his climbing partner, Andrew Irvine, disappeared as they approached the summit of Everest, never to be heard from again, at least in a normal way. Indications were that Mallory had left Irvine behind and attempted to climb the final leg on his own. There was much speculation as to whether Mallory made it to the summit before he died. His body was found in 1999 at a point still short of the summit, but the speculation remained that he might have reached the summit and died on his way back down. I recently came upon an apparently little-known communication purportedly coming from Mallory several months after his death, in which he said that he did not reach the summit. 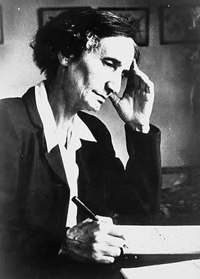 It came through the mediumship of Geraldine Cummins (1890-1969), (below) probably the most celebrated automatic writing medium ever, and was communicated to Beatrice Gibbes, Cummins’s friend. As Gibbes was a member of the Royal Geographic Society and feared that she would be banned from the organization if it were known that she “dabbled in the occult,” the communication with Mallory was not made public. It was left to Charles Fryer, an Anglican priest and college lecturer in history, to uncover the scripts in the Cork (Ireland) City Archives as he did research for a biography of Cummins, first published in 1990 and recently republished by White Crow Books under the title, Geraldine Cummins: An Appreciation, while subtitled, The Inside Story of Ireland’s Greatest Medium. Mallory told Gibbes that he was “losing hold” and had to leave. In a later sitting, he told her that things were becoming more clear to him. “It was all a muddle at first, you see, I took a long time getting clear of my body,” he explained. “It didn’t decompose rapidly in that great cold. I found myself outside it, watching the man that was myself and yet not myself, tied to him still by threads…it took a long time to snap, perhaps because I was a pretty strong chap and died hard. You know, I believe people don’t die when doctors pronounce them dead, they are still very often only just outside their bodies, as I was.” He added that he was so determined to live that if someone had found him he thought he could somehow get back into his body. Eventually, other spirits came and broke the last threads holding his spirit body to his physical body. The communication from Mallory wasn’t really evidential in the sense that it could not be verified or could have been researched beforehand by someone intent on deception. However, there was considerable evidential material coming through Geraldine Cummins with others to attest to her genuineness as a medium, thereby lending itself to the truth of the Mallory communication. The daughter of Professor Ashley Cummins, M.D., Cummins was introduced to mediumship during June 1914, when she met Hester (Dowden) Travers Smith in Paris and observed her receive messages from “alleged deceased persons” by means of the ouija board. With Dowden and Cummins working the ouija board together at a later date, the often-cited “Pearl Tie-Pin Case” unfolded in which Cummins’s cousin, who had been killed on the battlefield in World War I, asked Cummins to make sure his pearl-tie pin was given to his fiancée. At the time, no one knew of the fiancée or the pearl tie-pin, but both were later verified. Cummins’s dedication to mediumship actually began in 1923, after she met Gibbes, a London resident and member of the Society for Psychical Research. Gibbes took her under wing and helped her develop as a medium. Gibbes described Cummins’s condition during the automatic writing as “semi-trance or light dream-state or sometimes in a deeper condition of trance.” Her hand appeared to be controlled by some outside entity or influence, quite separate from her own personality. The handwriting almost always resembled that of the communicating entity when alive. Although author Charles Fryer never met Cummins, he thoroughly researched her and offers a very interesting and intriguing summary of her career.